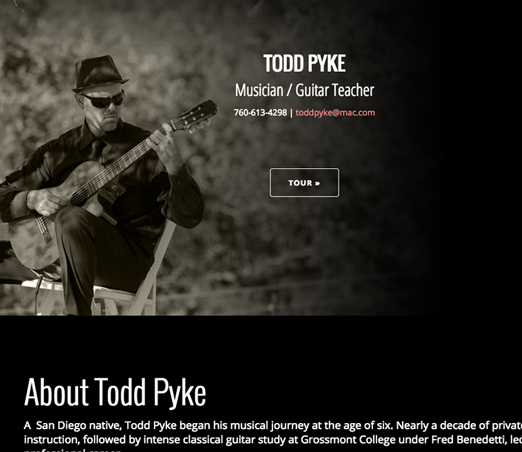 Music Lessons and Performances by Todd Pyke is based out of Encinitas, California and serving the surrounding areas. Todd Pyke is part of the Encinitas School of Music and has been formally trained by world famous classical guitar instructors. His long list of achievements includes many of his award winning guitar playing as well as appearances on MTV.